Sign to up to get access to the webinar. New Requirements Went into Effect March 21, 2017. Are Your Civic Communications Compliant? The latest updates to Section 508 of the Rehabilitation Act of 1973 impact the design and management of many federal and local government websites. Watch our webinar to learn about the latest requirements and how they will impact the ongoing equitable communications of your local government so that you can plan your compliance strategy. Keith is the Founder and Lead Inbound Evangelist at Manage Inbound. 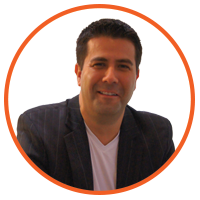 He is a Certified Inbound Marketing Professional who has helped companies throughout the U.S. grow by using inbound marketing and sales strategies that have generated millions of dollars in sales.